People in Bend have a style all their own, and it didn’t come from any “what to wear now” list that we’ve ever seen. Flowy dresses and chunky boots? Yes. Rugged flannel as formalwear? Of course. Puffy coats with flip flops? All the time. And we’ll bet you a growler fill that many of these looks were put together at Outside IN. 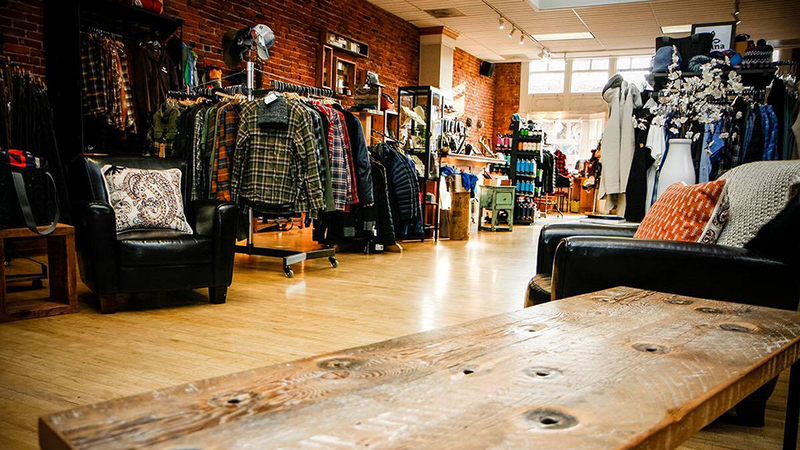 Right downtown, right next to the Tower Theatre, Outside IN is a locally owned shop where you can find shoes and clothing for women and men that will take you from your outdoor adventures to dinner downtown without skipping a beat. No fussy fashions, no uncomfortable cuts or over-styled ensembles; just great looking, great fitting pieces for yoga, for running around town, for making a statement that’s all your own. Outside IN also stands for quality and carries brands that can stand up to your demands for performance and good looks. Dansko, Smartwool, Horny Toad, Lole, Lucy, and Merrell are on the racks and shelves in all the latest styles. The also carry dog accessories from local maker RuffWear so that your best four-legged friend can make the best dressed list. And, Outside IN is a hive of activity year-round, with in-store trunk shows, nutrition talks, free yoga on Monday mornings, much more. Visit the website for upcoming events and visit the store Monday – Saturday from 10:00 a.m. – 6:00 p.m. and Sunday from 11:00 a.m. – 5:00 p.m.